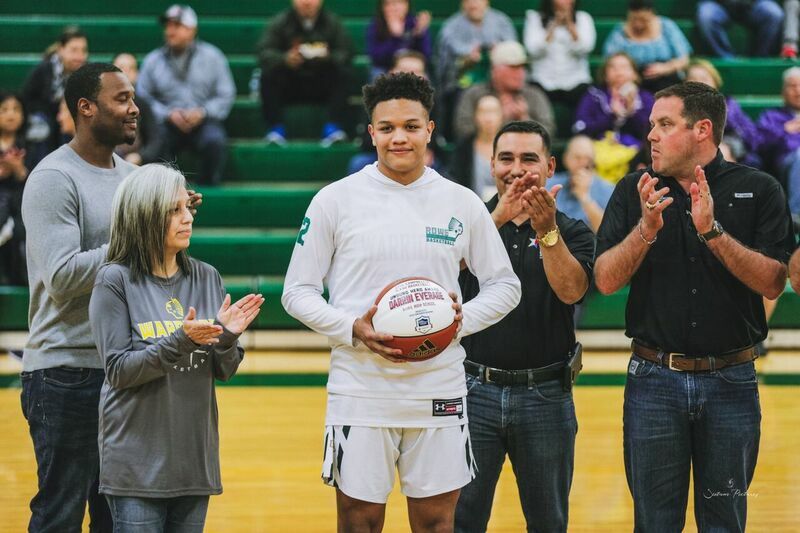 When McAllen Rowe basketball coach Jose Luis Yebra found out that Dave Campbell was looking for “Unsung Hero” nominations, highlighting student athletes who do exemplary work in and out of school, it took him no time to come up with a selection. Recently, junior Darrin Everage became one of five winners statewide to claim the award for Campbell’s Texas Basketball Magazine. Campbell is known for his annual football magazines but has expanded to basketball due to high interest in the sport statewide. Everage is just the second player from the Rio Grande Valley to receive the award. Last year, Brownsville St. Joseph’s David Rodriguez was one of five athletes to be named an Unsung Hero. Everage is a junior at McAllen Rowe, carries a 4.0 GPA, and has been a basketball varsity starter since his freshman year. He is also part of his high school’s student council, McAllen’s ISD student ambassador, is part of the National Honor Society and a member of Fellowship of Christian Athletes. Away from school he has also logged hours doing community service at the RGV Food Bank, McAllen Police Dept. toy drive, StaySharp Community Outreach, UPS highway cleanups and more. He plays AAU basketball year round with the Vipers Academy Elite. Coach Yebra said a player likes Everage just brings another dimension to a team, something that can’t be taught, but that is extremely valuable. “It makes me feel great to have a student like that. He’s a great student, player and person,” the elder Yebra said “He’s always giving 100 percent and he’s always improving. He’s the type of kid who will do the extra to be better, to help his teammates. It’s just great to have him.